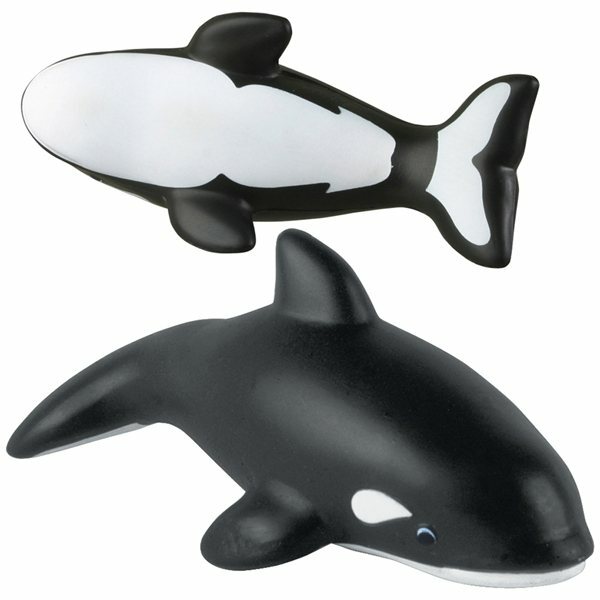 Killer whale shaped polyurethane stress reliever. These are absolutely adorable. They are well made and the orange (our company color) really shows up well on the belly. When you open the box and see all of those little whales, a smile creeps across your face because they are so cute. It looks like a whale frenzy! I can hardly wait to ship them to our 12 sites, so that when they open their boxes, they are as delighted as I was when I first saw them. They will add a significant bit of fun to our ORCA Merger Celebration. It exceeded my expectations! Good job! Product was great. Minimum order was a bit high. tHe quality of product and how quickly it shipped were fantastic! The logo design was located on the product perfectly. thank you very much for that extra touch!